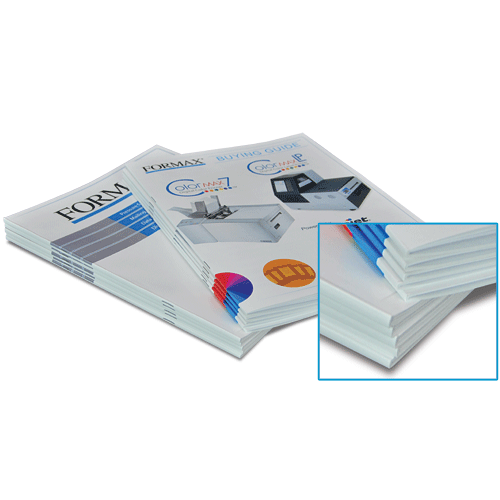 The Formax Square IT squareback booklet finisher gives your stapled booklets a professional, perfect-bound look, with the security of a stapled binding. Squareback booklets lie flat, making them easier to front-trim on a guillotine cutter. Square bindings also offer the option of printing on the spine, plus they’re easier to package and store. The Square IT finishes booklets up to 9 1/2” x 12 3/4”, in sizes up to 24 sheets of 80gsm paper. 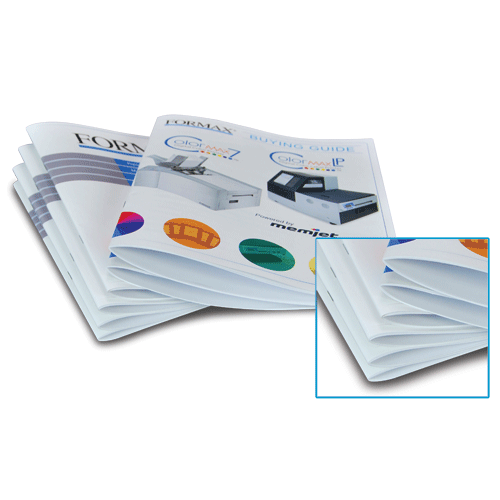 With the easy-to-use control panel, operators can choose from four thickness options, which provide the ideal squareback binding based on the number of pages. This versatile, compact machine can be used either as a hand-feed unit or in-line with a wide range of traditional and digital finishing devices. 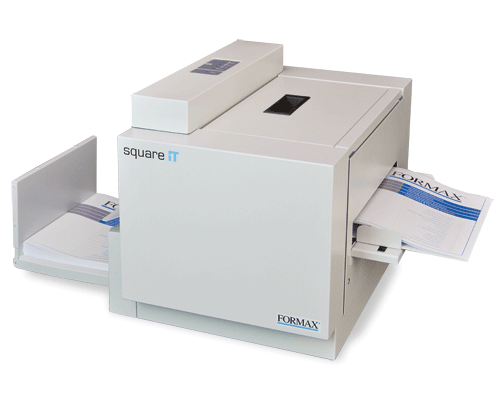 Take your booklets to the next level with the Square IT squareback booklet finisher.